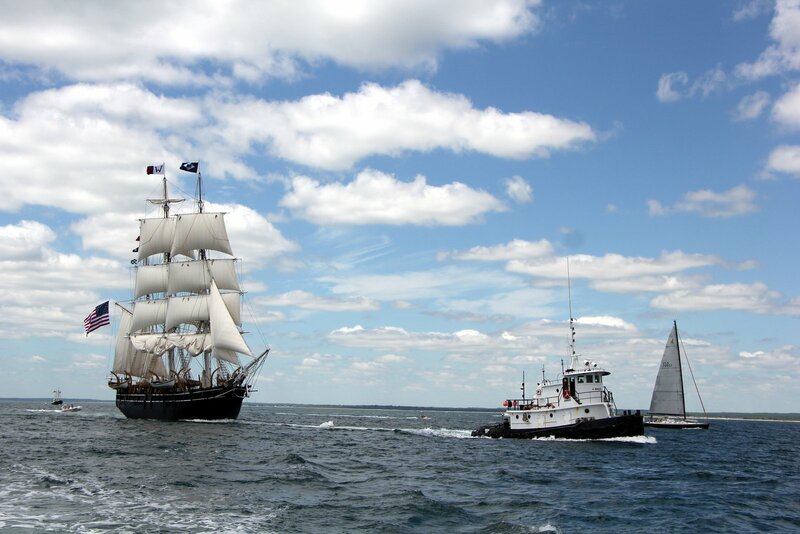 June 15, 2014 - The CHARLES W. MORGAN was in Block Island Sound as she rounded Point Judith Light, heading to Newport, on the first leg of her 38th Voyage. The engine noises were from other boats. As she approached Point Judith, she had the wind at her stern and was in full glory. As she rounded the Point, she had to head into the wind, and her sails became more liability than asset. Alongside a whaling ship just as a Coast Guard warning came over the radio of a thirty foot dead whale in the vicinity. The wind died coming into Newport, making towing critical.